On Tuesday evenings at the Wellness House, a complementary care practice in Northampton, women with a variety of health problems are finding relief through acupuncture treatments done in a group setting to keep the cost down. “The clinic was born out of the frustration that there is no mandated health insurance coverage for acupuncture for the citizens of Massachusetts,” said Amy Mager, 52, the licensed acupuncturist who practices there. That means, those seeking the treatment can find themselves with sizable out-of-pocket expenditures. A private session with Mager is $95 for the initial visit and $75 thereafter for an hour-long session. For her weekly clinic, where she treats up to three people at a time, patients pay on a sliding, $25 to $35 for 40 minutes. She is usually circulating among three or four rooms and works on from 10 to 17 people each week. What she is practicing is called community acupuncture which has been growing in popularity in the Valley. There are similar clinics in Amherst, Northampton, Easthampton and Greenfield. “Essentially community acupuncture is an effort to make acupuncture accessible to everybody,” said Jack Radner, who started Amherst Community Acupuncture on Henry Street in Amherst nine years ago. “I think it’s practiced in different ways by different people, but the common element is making it an easy service for anyone to afford and also creating a community environment in a sense.” Radner’s clinic, open Wednesdays and Fridays, offers treatment in a large room with four massage tables separated by folding screens. He charges on a sliding-scale, ranging from $25 to $45. Rachel Condon, who turned her private practice into a community clinic in downtown Northampton in the mid-2000, says while acupuncture first took off in the United States with one-on-one treatments, traditionally, in China, acupuncture was practiced in group settings. About a decade ago, she said, that approach took hold on the West Coast in an effort to make the treatments more affordable with sliding scales similar to Mager’s and Radner’s. Condon, who treats up to six patients at one time, said she found the sliding scale confusing and embarrassing for some patients. She recently set a flat rate of $30 per session. Mager’s practice focuses on women. 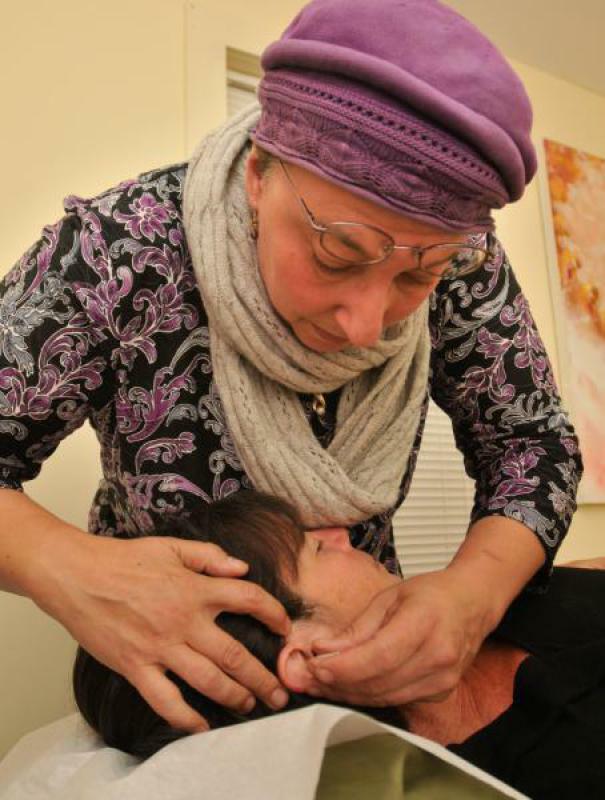 Along with a desire to provide affordable acupuncture to them, she says that she is also dedicated to providing an environment where woman who have been traumatized can receive compassionate holistic treatment. “Sexual violence, domestic violence, verbal or physical abuse and other kinds of trauma have profound impacts on us,” Mager said. “For women who have experienced these things, it is very important to have a safe place for them to come and get care.” Mager, who received her training in a four-year master of science program at the American college of Traditional Chinese Medicine in San Francisco, has been practicing acupuncture for 25 years She also has been trained as a birth educator and birth assistant and uses her combination of experience to work with women having pregnancy difficulties from fertility problems to trouble carrying a baby to term as well. Her work however, is not restricted to trauma and maternity. She sees women with a wide range of illnesses, conditions and complaints from persistent coughs, allergies, insomnia and anxiety, to joint pain and injuries. And, she says, her women’s wellness clinic is open to people who identify as women as well. “Everyone needs and deserves to feel safe and supported,” she said. The rooms she uses at the Wellness House on Brewster Court are quiet and softly lit and patients may lie on tables or relax in reclining chairs during their treatments. After discussing each patient’s needs, Mager places needles at various points on their bodies, then bids them to relax, covering them with a Mylar blanket. “The Mylar reflects their own body heat, it’s like your own life force directed back to you,” she said. Mager said her focus is providing compassionate care. Though the session is shorter than a private treatment from her would be, it’s done, “with the same amount of love, attention and intention,” she said. Patients interviewed confirm that she succeeds. “I think that Amy gives excellent care,” Elizabeth Devine of Shutesbury said while waiting for her treatment on a recent Tuesday. “Her sessions are very relaxing, helpful and nurturing and she has a very gentle way about her.” A patient at the clinic since March, Devine has one daughter and would like to have another child but has had difficulty sustaining a pregnancy. She said she came to the clinic with the hopes that acupuncture could help. “I’m seeing Amy because I want to do what I can to stack the deck in my favor,” she said. Linda Singer of Springfield said that she originally came to the clinic to find relief from a bad case of shingles, but also got help with symptoms connected to other conditions. “Now, I not only feel better, but it cured my menopause symptoms like you wouldn’t believe. I used to wake up 20 times a night. Not anymore. Now I even dream,” Singer said. “I don’t know the science behind it, but I do know that it works.” Some patients work with Mager in conjunction with doctors practicing traditional Western medicine. Jessica Lucia of Easthampton came to the clinic for help with a rare condition called Asherman Syndrome that causes excessive scaring on the uterus and prevents pregnancy. “I work with Amy in conjunction with a specialist in Boston who is removing the scarring,” Lucia said. “I was 70 percent occluded, now I am 80 percent clear. Mager is the secretary of the Acupuncture and Oriental Medicine Society of Massachusetts and co-chair of it Dry Needling Committee. Dry needling she explained, is the practice of using a hypodermic needle without medication or injection, which is inserted into areas of the muscle known as trigger points. “Using trigger points is acupuncture, and anyone using an acupuncture or dry needle, needs to be licensed to practice this medicine,” Mager said. She is currently involved in promoting a bill before the state legislature that would make acupuncture services more accessible to all people in every income bracket in the Commonwealth. 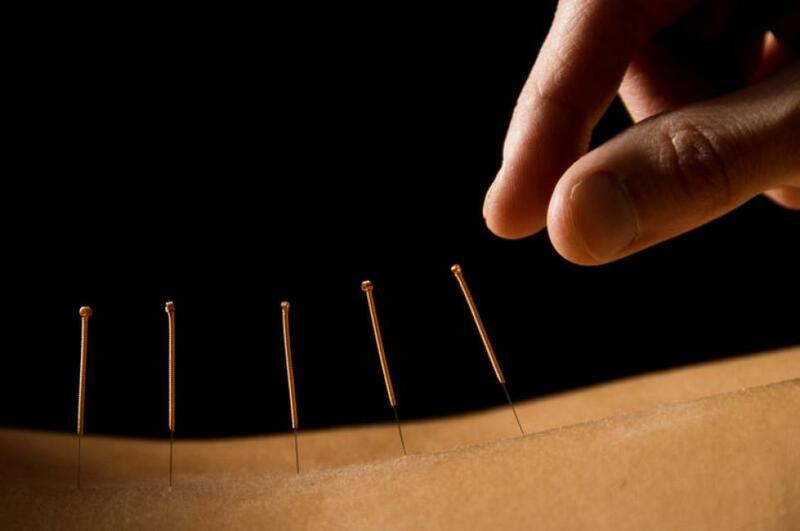 The law would require all individual or group accident or health insurance policies, to provide benefits for services rendered by a licensed acupuncturist in the state of Massachusetts. It would also establish a commission on acupuncture and wellness to determine the best and most cost-effective way for acupuncture to complement other health care services. “There is a provision to include acupuncture under Obamacare, but how to do that has not been established yet,” Mager said noting that when acupuncturists are part of a team of care providers, they will be better situated to make valuable contributions to patient care. “For some folks (uncovered acupuncture) might be more limiting and they might be more apt to try it if it was included in their insurance,” she said. But on the other hand, she added, it might just be one more reason for insurance companies to raise their fees. “Another big concern I would have is that I feel that insurance companies might say they would cover it but then want to have some oversight in how it’s used, what it’s used for, what it can cover for some conditions and not for others, and I feel it’s based on very incomplete research on the benefits of acupuncture.” Condon’s business has been going strong. She said when she found herself giving up to 100 treatments a week, she added a second practitioner, Katie Oleksak, last August. “I am thrilled to see the clinic reach this state of growth,” she said. “Many people want to become more empowered about their health. We see a lot of folks who want to take fewer medications, avoid surgery when possible, increase their quality of life and feel better. Chinese medicine works great at the preventative level and helping the body heal itself without a lot of interventions. We want to offer that and offer it at a price people can afford.” Mager said that she is happy to refer patients to other health care providers if her treatments turn out to be not what they are looking for.